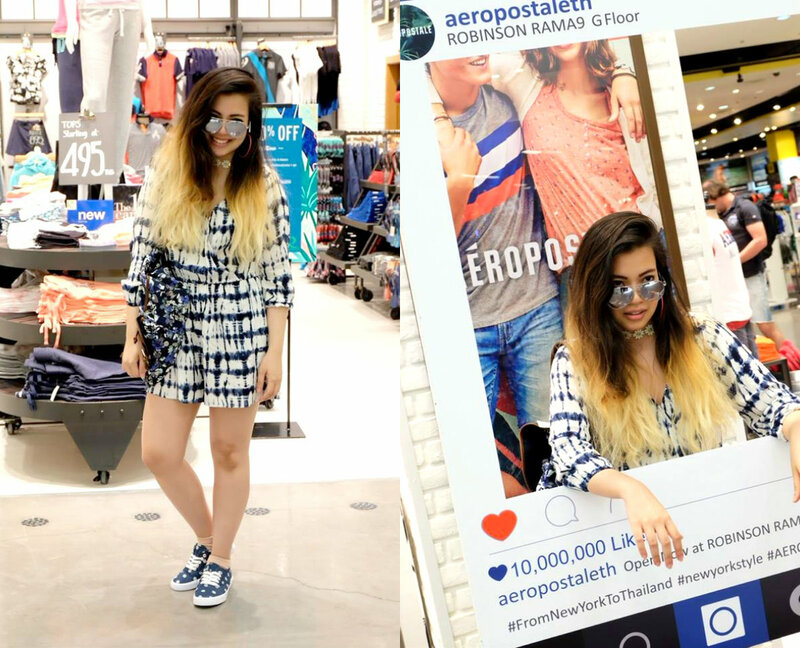 On 15, March 2016, The Equinox Fashion was invited to Aeropostale launched at Robinson Rama9, Bangkok, Thailand. As I mentioned in The Equinox Fashion Instagram that it wasn't just an ordinary event, because this time I had such a great opportunity to do a quick snapshot with the team inside the store as well. 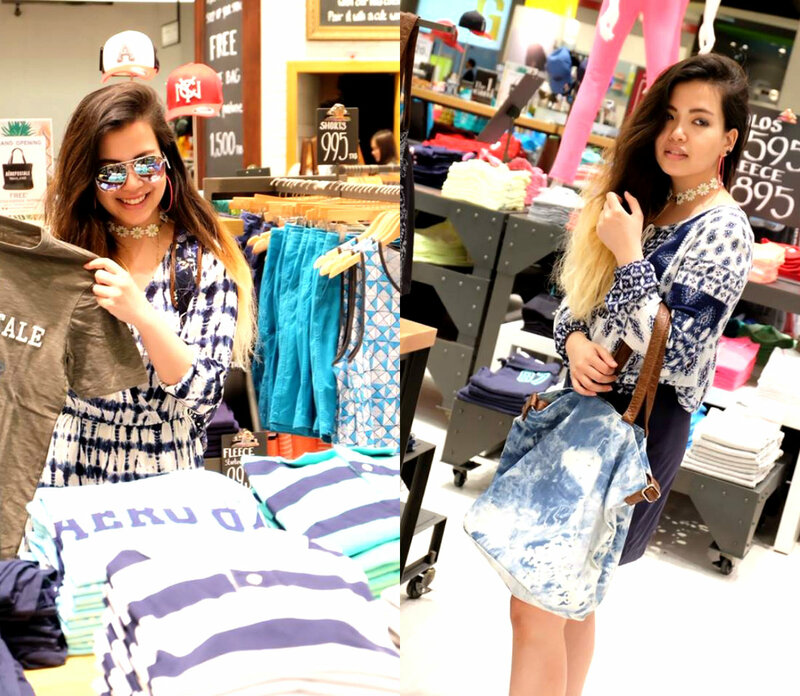 Having fun styling the pieces, mixing and matching the must-have items with the street style look, I really had a great time at the store. Are you ready to go on an adventure with me at Aeropotale Thailand? If yes, this post is going to be more than just a simple blurb. Basically, snap snap snap! As soon as I arrived at the store, I selected the 2 outfits in order to do the photo shoot with the photographer. The products were so variety that I didn't know how to pair everything together. 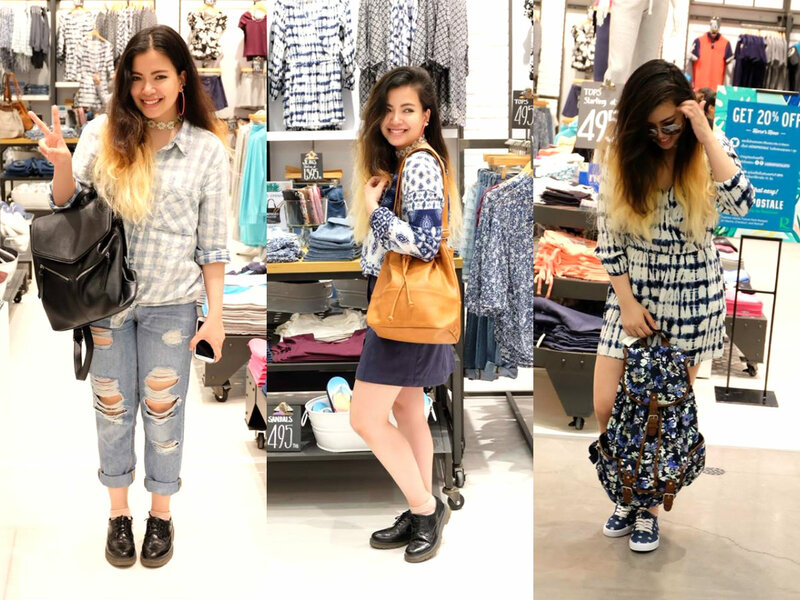 I have seen some other Thai fashion bloggers who worked with Aeropostale Thailand before, and I really loved how chillaxing they created the looks with these simply beautiful, yet casual pieces. Though the brand is originally from New York, I still think that for some reasons it can also represent that California it-girl style. All of the three outfits were from the brand, one was the checked shirt with ripped jeans and the other two were how I styled at the store. The first look was the white-blue romper matched the polka-dot shoes and mirrored sunglasses. I love the design of this romper so much because it's very soft. Perfect for Summer in Bangkok, Thailand because it is extremely hot right now! Every piece I wore is really light-weighted, so it is very comfortable to wear for any occasion. Even the boyfriend jeans I got from the brand, they are incredibly soft. Comparing between River Island, Primark, and Aeropostale boyfriend ripped jeans, I think Aeropostale is the softest. Primark is cheap, but the silhouette is just SO wrong. River Island is alright, but the fabric is not that comfy. Teenage spirit brand, Aeropostale is one of the well-known brands in the US with more than 700 branches all over the states, and Canada. This Spring& Summer collection consists of tank-top, T-shirt, shirt, dress with the printed pastel palette. the collection's inspired by the New Yorker style, it has embraced the trendy, funny, and positive attitude with the designs. This first SS16 launched in Thailand is inspired by the Summer getaway, specially launched for the fashionista who loves combining fashion and lifestyle altogether. That store rock I use to get clothes from Aeropostle back in the days, You look cool love your top doll. Great mix of ensembles babe! Loving all the print! your dad should have a fashion blog of his own! How very fun Gail! I love the looks you created. oh wow, they have a lot of cute stuff! the photo of you and your dad is so adorable :) Akiko and I look forward to meeting you one day! It's a great brand. Lots of people love it. And your dad is very very cool!! !